As we get closer and closer to the MWC launch event the more we will get to see new leaks about Nokia devices. We have seen Nokia 9 renders in the past but this time 91mobiles has got a new press render of the Nokia 9 PureView which they claim to be the official press render for the device. There's nothing new in this render that we haven't seen before but it gives a better look at the what the actual device would look like. The image shows the Nokia 9 PureView from three different angles. 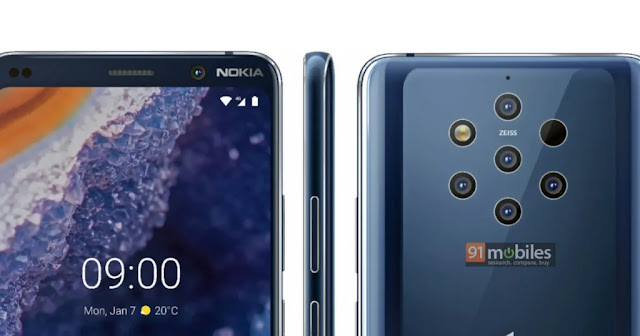 There's nothing new to be found in the front and back of the phone but the image showing the device from the side reveals that the Nokia 9 PureView won't come with a 2.5D curved glass and will probably use a flat glass at the front. Below is the cropped image for a closer look. 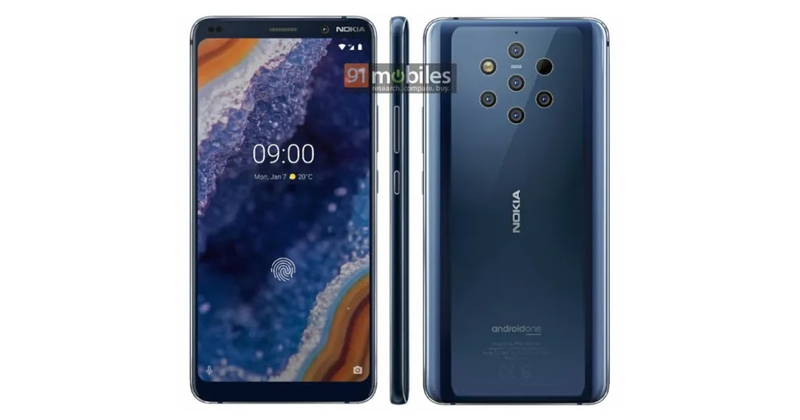 MWC2019 is just a few weeks away from now where Nokia Mobile is rumoured to be launching their camera-centric Nokia 9 PureView along with a new Nokia smartphone with punch hole display and a few other phones. So, it is just a matter of a few weeks till we get to see new Nokia devices launch at the event on 24th February 2019.